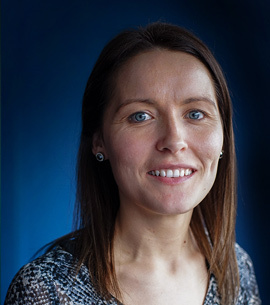 Cara is the FREED Project Officer based at the InnoTech Centre in Cookstown. She has previously achieved a First Class Honours BSc (Hons) degree in Business Information Technology from Queen’s University Belfast. Cara has previously worked in IT roles for 8 years within many different industries including software, education, manufacturing, engineering and pharmaceutical. These roles involved providing IT support and training to businesses and end users. She has managed and completed many IT related projects for SMEs and large scale organisations. She specialises in networking, mobile devices and rollouts of new technologies. Cara has also attained her ITIL qualification and Certified Associate G Suite administrator certificate.